Yoga is an incredible way of keeping fit and healthy. It incorporates physical exercises, breathing techniques and meditation which is sure to provide you relief from stress and make your body flexible if you practice it on regular basis. Yoga helps to connect your body, mind, and soul. There are numerous yoga benefits and this has led many to practice it on a regular basis. A Great Form of Exercise. Yoga is a great form of exercise which helps you to develop self-awareness, acceptance and also reduces your stress to a great extent. It helps to improve your physical, mental and emotional health whereby you are able to enhance your overall well-being. By practicing yoga you are able to strengthen your muscles and increase your flexibility. It increases the range of movement and reduces your aches and pains. You are able to increase your elasticity and improve your body alignment which results in better posture. Many people are falling prey to stress owing to the pressures of hectic life. In order to get relief from this stress, many are resorting to yoga which has helped them to combat stress in an effective way. So, it can be rightly said that getting relief from stress is one of the most important yoga benefits and this is the reason why many are practicing it on a regular basis. 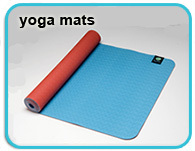 Another important reason why yoga is very popular is that it helps you to get relief from your nagging pains. Studies have shown that by practicing yoga postures helps one to reduce back pain, neck pain, arthritis, hypertension and other chronic conditions. Many people have overcome these pains by undertaking yoga and bounced back to their normal life within short span of time. Thus, getting a relief from various pains is one of the most important yoga benefits which one can expect by practicing yoga. You will be surprised to know that yoga postures helps to increase your strength and also relieve muscular tension. When you practice these asanas you are using every muscle in the body and this helps to increase its strength. Thus, strengthening your body is one of the best yoga benefits which one is able to get if he embarks on a daily practice of yoga. Are you overweight and facing health problems? Then definitely you should practice yoga because it helps you to reduce your cortisol levels and also burn excess calories. This, in turn, will help you to shed extra flab and eradicate the root cause of obesity. You are provided with yoga for weight loss programs which will help you to reach your ideal weight. As a result of this, you are able to overcome your health problems and are provided with a heightened sense of well being. Moreover, yoga encourages you to develop healthy eating habits so you do not become overweight in the first place. Yoga practice helps you to improve your oxygen intake and provide you cardio-vascular benefits by lowering your heart rate and increasing your endurance. Furthermore, yoga helps you to focus on the present and improve your concentration and memory power. So, start your yoga program today for availing these yoga benefits and remain fit and healthy at all times. « Yoga Apparel – How Does Yoga Apparel Differ From Other Types of Exercise Clothing?